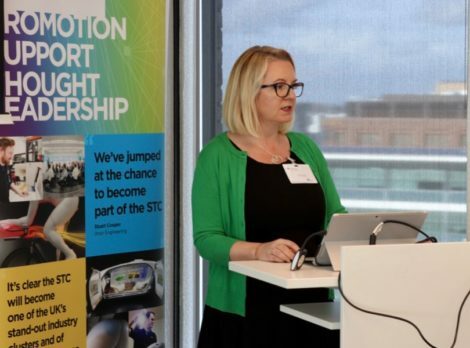 On Tuesday 19 February, the Digital and Advanced Manufacturing (D&AM) Special Interest Group held its first event for 2019, focusing on digitalisation and automation. 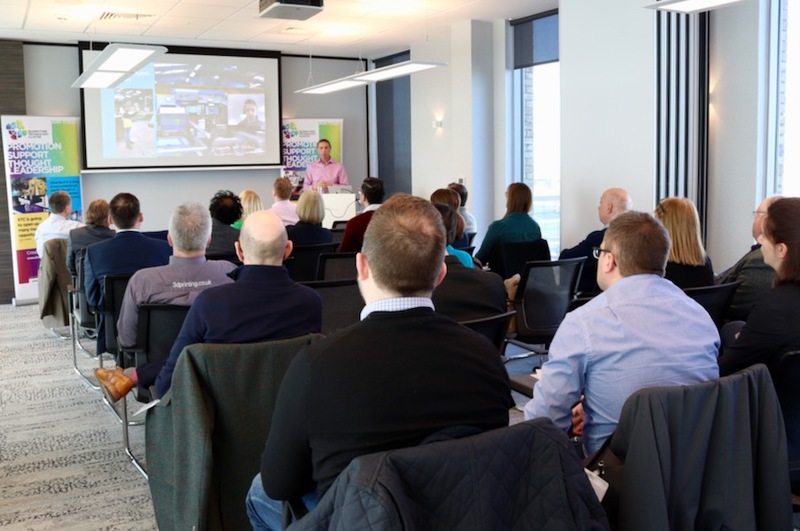 Hosted by STC Founding Member, Grant Thornton, at their Milton Keynes office, delegates from STC companies such as Laser Lines, Charpak, Global Inkjet Systems, P2i and Antycip were shown some of the latest developments in digitalisation and automation today. Following a brief welcome and introduction, Rob Hamer, Business Development Manager at Beckhoff Automation, presented on some of the work they have done with Rolls Royce and various other aerospace companies, as well as providing some practical advice on how to go about automation in your business. His presentation paired fantastically well with that of Tim Andrews, who is a Senior Advisor of the Transformation Team at the MTC. In his presentation, Tim not only talked about some of the ground-breaking work they have been doing with various companies, but also highlighted different avenues for companies to look at for developing their digitalisation strategies. After the break, there were three presentations showcasing solutions being employed by SMEs today. Clayton Sampson, Director at Cyan Tec Systems, gave an in-depth presentation on how the adoption of digital technology has helped them to introduce vast efficiency savings for their clients, as well as greatly reducing production times whilst actually improving product quality. Dolores Sanders, Director at Total Control Pro, presented on how they have worked with Mowden Controls to not only improve visibility of production, but also improve staff efficiency and helped them gain the accreditation needed for certain orders by introducing a digital job tracking system on the workfloor. Dolores had invited Andrew Hales of Mowden Controls along, who was on hand to talk about the positive impact of this process on his business. The final presentation of the day dealt with “soft” robots as Roger Peacock, business development director at Velocity showcased some of the latest advances where some of the more menial admin task can be conducted by programmes to achieve significant efficiency gains. The event closed with an open forum session where the audience was invited to ask questions of our presenters as well as highlight future topics for the D&AM SIG group to cover.